Dear Daughter, Remember That Nightmare About Divorce? Marge, that’s so beautiful to read your message and even think about the way you are caring and tending to your plants. It was a blessing to me to think of how God cares for us with such protection. Praying for your day today! Thank you for blessing me in return! Just what i needed for my Scripture gifts this Christmas-beautiful lace fans! 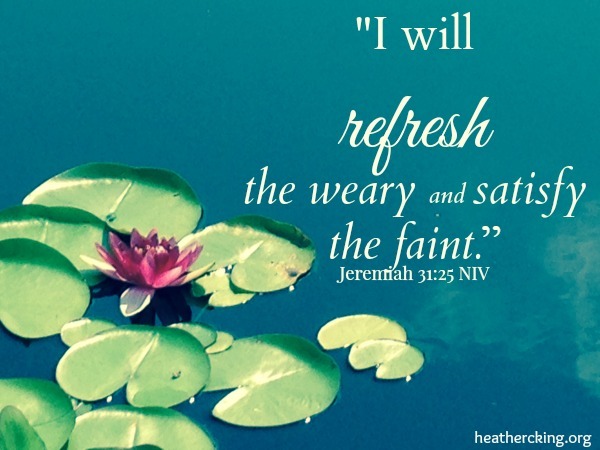 This is just what I needed right now…been involved in so many spiritual battles that I just asked God to refresh me….thank you Heather. God bless you. TREMENDOUS ARTICLE. . .VERY TIMELY. . .THANK GOD FOR YOU SIS!!! Thank you for your encouraging words from the LORD. May God refresh you as you have refreshed others by your love and obedience to our Lord. Thank you so much, Joanne! I love how God pours into us as we pour out to others. Thank you so much for your refreshing prayer. It soooo blessed me. I was looking for Scriptures relating to a time of refreshing and I came across your article. The prayer really touches the soul. I pray that as to reach to other the Lord continues to pour into His refreshing oil in Jesus Mighty Name . Amen. God is so good! 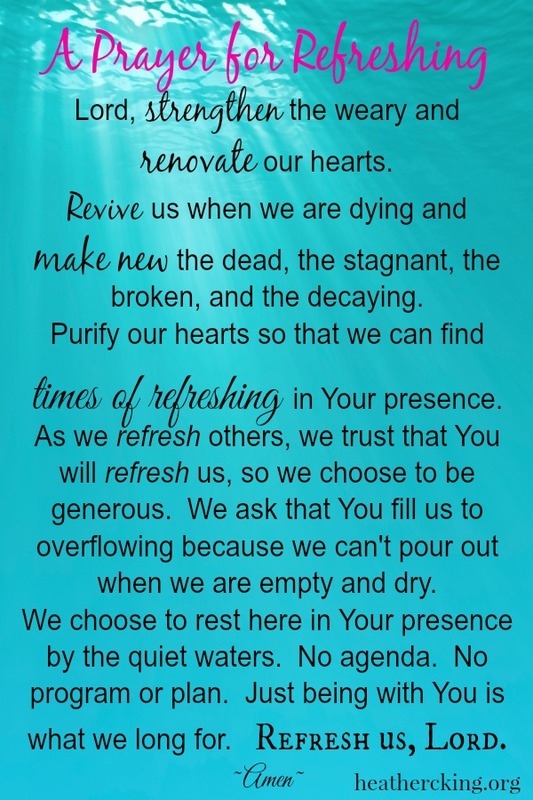 I’m thankful for the way He refreshes us!